Do you know your Kings and Queens of England by heart? Can you tell your Ethelred from your Ethelbert? Your Marcia from your Matilda? Well, passionate educator Mr Gwynne is back – and this time he is taking on the entirety of British history – so you will never be in the dark again. 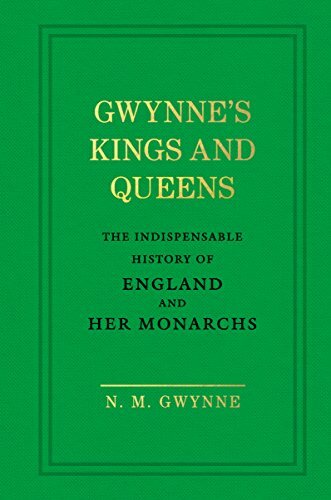 Within the pages of this little gem – bursting with our small island’s rich past – he teaches us the history of England through her remarkable monarchs. It is Mr Gwynne’s belief that a certain amount of what you might read in other history books may well be wrong. It is his aim to show you why. Concise, thorough and utterly fascinating, this is the perfect book to be enjoyed by young and old, to be read at a time when, for many, harking back to our rich past seems much more preferable than living in the dreary present. And when it comes to the benefits of education, Mr Gwynne is never wrong!